The Michigan Accordion Society has awarded Honorary Memberships to outstanding musicians who have been a major force in contributing to the promotion of the accordion. Below you will find links (which include photographs along with detailed biographies) to those who have received this honor. We are grateful for their contribution. 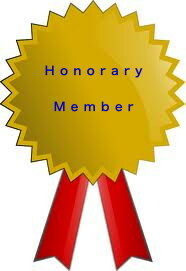 Please note that it was a very long and difficult process to obtain the information used in this Honorary section. If there is anyone who you feel may be missing, or if any corrections are required, please contact us through the contact page on our website and kindly help us by providing a brief description of the correction. Thank you!